I have only read one book in the Hundred Oak series but I’ll definitely be picking up more after reading this little gem. Annie Winters is a girl dealing with heartache and blame after her long-term boyfriend, Kyle passed away, he was the person she would eventually marry, he was her best friend and the one she was planning a future with. As a way to honor him, she is training for a Country Music Marathon that he intended to race. We get a good glimpse into Annie’s pain, we see her push herself to achieve success, she goes through agony but she moves forward never losing sight of her goal despite hating running herself. When Annie meets Jeremiah Brown, her trainers little brother he slowly brings her out of her slump but she is wary of this adrenalin junkie; she doesn’t want to lose anyone again but she can’t avoid his charm and his kindness, I adored their interactions and call me a perv but I thought that their smexy times were done really well! The chemistry between Annie and Jere was off the charts so I loved all of their interactions together – it was rushed initially and then slowed to a more believable pace that I loved reading about, they complimented each other well. I loved the sporting aspect, I'm not a runner at all - I'd trip over my own feet and it was gruelling to read about what they go through to achieve their goals; I was cheering Annie on as she trained daily so that she could honour Kyle and it was great to see everyone support her along the way. It was nice to see family play an important role in this book. 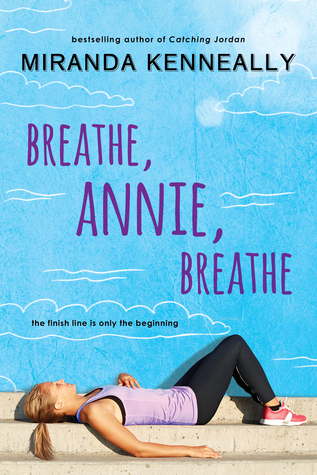 Breathe, Annie, Breathe is filled with wonderful, engaging writing and relatable characters that you can’t help but cheer for. I thoroughly enjoyed seeing Annie’s progress and finding herself through her grief, it wasn’t easy for her but I admired her dedication – she was a fabulous character that I could really relate to. I did struggle in the initial stages of this book because of my Netgalley copy – it was missing certain letters which skewed words, I found it hard to get used to but it didn’t take away from my enjoyment of the overall book. I also found the ending to be a little anti-climactic, all the preparations were over with in a brief moment; I would have loved more. Overall, a highly recommended, well written sporting romance. 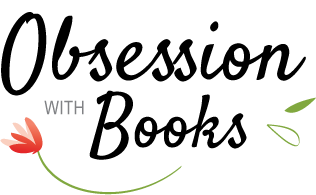 Thank you kindly to Sourcebooks Fire for the opportunity to read and review Breathe, Annie, Breathe. I love this series. This wasn't my favorite, but I still loved it! You should definitely go back and start at the beginning. I've read reviews for this and so far, nobody has been disappointed with it! I love the sound of the story, and the running feels metaphorical (?). I loved this book so much too. I loved Annie and her growth throughout the book. And yes, the running aspect was so well-done. I'm not a runner either, but I felt like I was with her. And you should totally pick up the rest of the books in this series. They are all great!